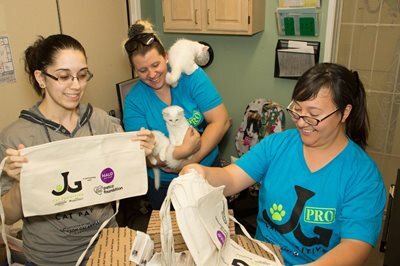 Founded in 1997, Town Cats has been saving stray, abandoned, unwanted and feral cats in Santa Clara County, California, since day one and hopes to save even more with the help of The Jackson Galaxy Project’s Cat Pawsitive Pro (CPP). 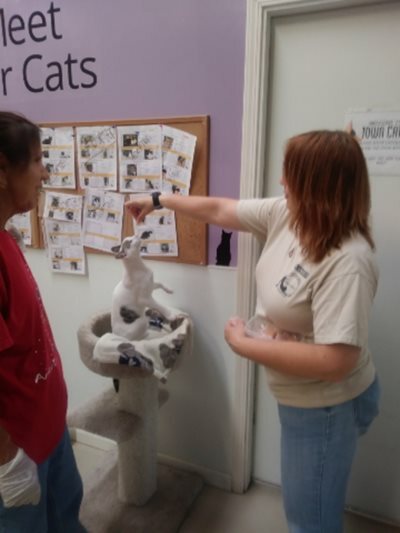 They had learned about CPP and its benefits when they looked into having Jackson Galaxy host an event at the shelter. As a private admissions shelter, Town Cats rescues on average 20-30 cats/kittens per week from municipal/city shelters in the county. Cats typically stay anywhere from six days to as long as they need before finding their fur-ever home. On average, 10-15 cats are adopted weekly from the shelter. Town Cats’ CPP team will be comprised of five staff members and seven volunteers. This group will be led by three team leads who are ready to tackle the challenges and successes of CPP. Town Cats often sees cats with similar behavior issues in their shelter. Mostly they encounter the following: overstimulation-aggression, shutdown, fear, biting, hissing, and swatting. Most of these behaviors are a defense mechanism for cats who are primarily a victim of circumstances. 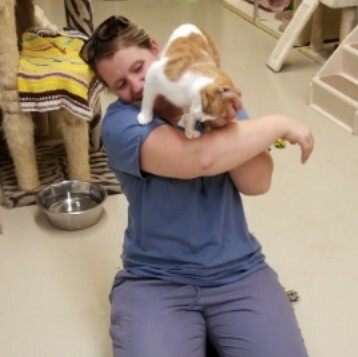 “Cats are amazing creatures that should be lounging around and having a good time, so to see those that are unable to do so is so disheartening,” says Silva. 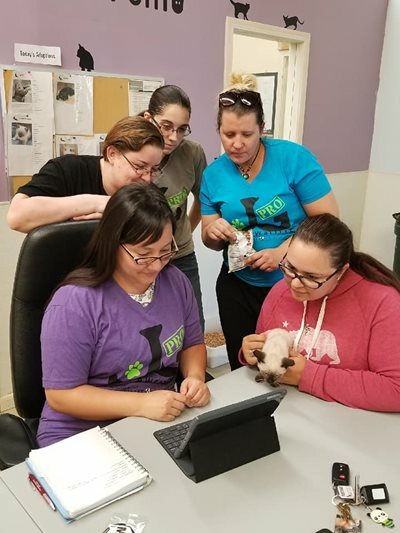 “I feel ecstatic when I see progress in them though…it’s immensely rewarding!” With CPP, Town Cats will focus on changing these learned behaviors even more in their kitties. Town Cats also plans to use CPP training to bring in more cats from their municipal shelters and save more cats throughout Santa Clara County. 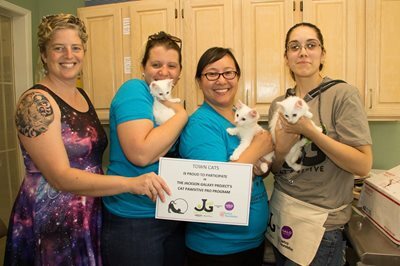 Want to keep up with news about the lifesaving work of The Jackson Galaxy Project’s Cat Pawsitive Pro initiative? Follow us on Facebook at The Jackson Galaxy Project. You can learn more about the program and support our work at www.catpawsitive.org. The Jackson Galaxy Project is a Signature Program of GreaterGood.org.